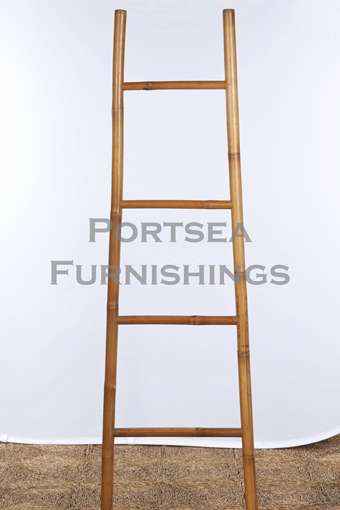 Our bamboo ladders can be functional or simply ornamental. Hang your towels or clothing. Available in natural and chocolate. PRICE $ 48.00 DIMENSIONS: 55 (35)x 5 x 180 cm H * measurements in brackets refer to width of the ladder at the top.